Here at Blackfriars Arts Centre and Theatre it is our passion to Keep Live Theatre in the Heart of Boston. To be able to showcase wonderfully talented amateurs and gifted professionals who will deliver something special for everyone in our hometown. 2016 is our 50th Anniversary year and in anticipation Blackfriars Board of Directors have put together a Refurbishment Plan aimed at getting Blackfriars Theatre refurbished and back to its former glory. The refurbishment plans have started with Phase 1 - Auditorium Seating upgrade for rows A - G and essential roof repairs - with thanks for some very generous donations and seat sponsorships from individuals. Those of you who are regular Blackfriars supporters will have noticed that there have not been any shows since the middle of July and the next show is not until the 5th September with La Traviata. 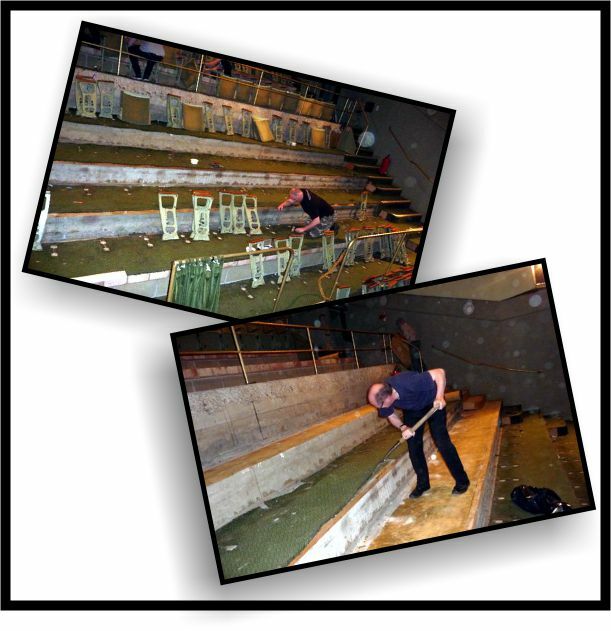 This has given us 7 weeks to undertake the Auditorium Refurbishment. 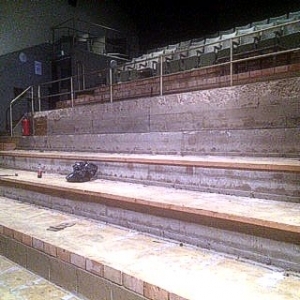 Auditorium Refurbishment - We had hoped to be able to replace all of the seating in one hit but as yet we have not been able to raise enough funds as the rear of the auditorium is going to be a more complicated refit with the planned removal of the old lighting box at the back. So we have started with Rows A - G.
The seat removal started on the 18th July and for the next 7 weeks we have a dedicated team of workers in adapting the space to enable us to put in new wider seats and provide additional leg room for all of the rows, something which we think everyone will agree is important to our audiences. 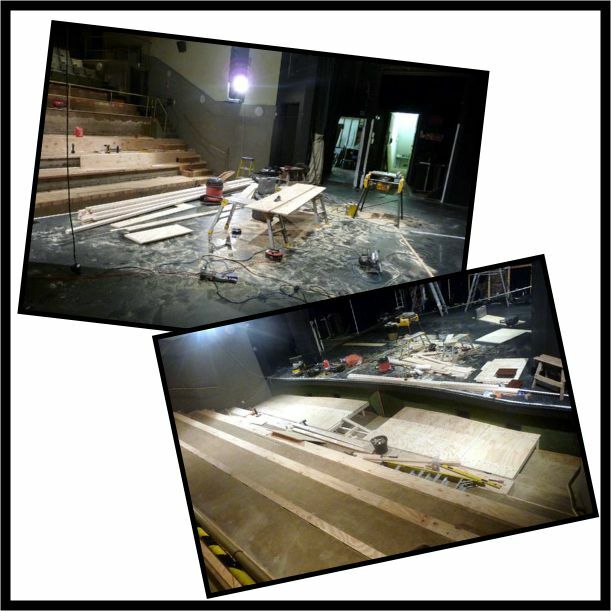 The builders are in next creating new platforms to create the additional leg room and also enable us to be able to accomodate additional disabled seating at the front of the auditorium - more on this later. And so the work continues with the new seating arriving in the next week. But this is not the end of the journey - we are only a quarter of the way towards raising enough money to complete the full Refurbishment and we need your help to do so. To find out more about how we plan to raise the money and how you can get involved in 'Sponsoring a Seat' head over to our Refurbishment Page here. If you would like to get more involved with Blackfriars Theatre as a volunteer pop in and speak to one of our ladies in the Box Office and they will give you an application form. 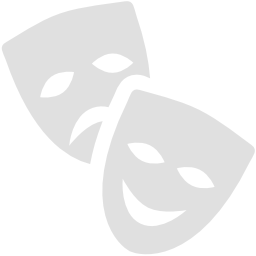 If you are a business and would like to find out how you can get involved in sponsoring or supporting Blackfriars Theatre please contact our Marketing Manager Andrea Townshend on andrea@blackfriarsartscentre.co.uk. 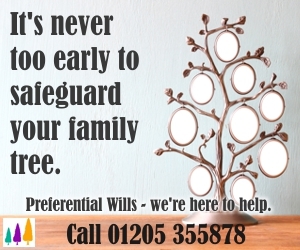 Thanks for all your support - please share this message with all your friends and make sure you are following us on Facebook, Twitter and Instagram.